A couple of WIP images of the first English Archer unit. Just by moving the position of the bow and a few head swaps gives the two types of figures variation. My group is just starting Saga which is bringing me back to my historical roots. 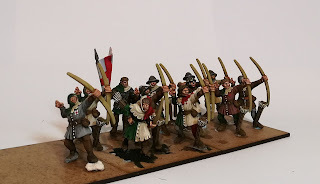 The only thing that bugs me is not being able to make big massed units like these. 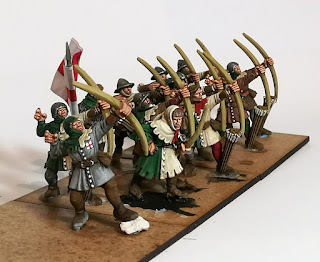 Are those the old GW Bretonnian archers? Thanks all, yes the old Bretonnian Archers.